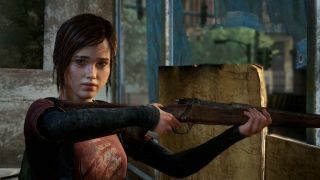 Sony announced it's remastering The Last of Us for the PS4 during E3 2014, and soon it will be joined by many other PS3 titles. In an interview with Eurogamer, Sony Computer Entertainment boss Andrew House shared Sony's plans to remaster older PlayStation titles for new audience on the PS4. Naughty Dog's game was released in June 2013, the early twilight days of the PS3 when many gamers avoided buying new games knowing that next-gen consoles were just around the corner. House said that because of this, Sony believes there's a contingent of PS4 players who've never played Last of Us or other games released late in the PS3's life. "I hesitate to say this because I know committed gamers may roll their eyes about it," House said. "But there's an opportunity with some of the remastering or re-imagining from PS3 franchises that will potentially find an audience that hasn't played them in the previous generation because they skipped that generation." Another remastered title to join Naughty Dog's second party hit is Grand Theft Auto V.
Beyond these two titles, House believes there an even larger swath of PS4 users who skipped last gen all together. Now House hopes to remaster more gaming experiences for anyone who opted to buy a Nintendo Wii rather than a PS3 or Xbox 360. Last generation, the Wii sold roughly 20 million more units worldwide over Microsoft and Sony's consoles of yesteryear. Now with the booming success of the PlayStation 4, shipping nearly seven million units around the globe, House explained he wants to turn the PS4 into a broader entertainment device. "We're only just getting into our stride with people who now have been playing for 10, 20 years, who have a nostalgia factor, who want to see those franchises come back and be reinvented," House said. Rumors have suggested Sony will bring back old-school franchises, including Syphon Filter. In a separate interview with the Telegraph, House also suggested Sony has been contemplating the return of Crash Bandicoot. Sony might just be testing the waters to see what reactions it can get draw with quotes like these, but just imagine what if there were finally a new PaRappa game. Check out our PS4 review!